I love when you have a conversation with someone and they say exactly what you need to hear in that moment. That happened to me today. I was talking to a friend and she read me a quote from Elder Holland, "the Holy Ghost will never prompt you to do anything you can't do." I don't know why but that statement just sunk deep into my heart and mind. It's not a new concept for me. I know, intellectually, that the Lord would never ask me to do something that I would fail at. But for some reason, I have been questioning that. The spirit has prompted me to home school my oldest son and youngest daughter and I have quite a bit of self-doubt and anxiety about doing it. I trust that if Heavenly Father inspired me to do it, that it is what is best for my children. The doubt just comes in when I think of my capacity---or lack thereof. But I have to remember that truly, He would never ask me to do something I can't do. And I know, in of myself, I can do nothing. But with Him, all things are possible. For those of you that didn't know I was planning on home schooling two of my four kids, it was a bit of surprise for myself as well. 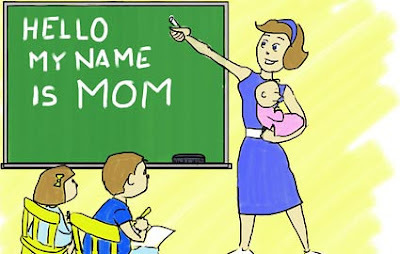 I have always admired moms that home schooled their children, but I never aspired to be one of those moms myself. I didn't have the time, patience or skills to even consider such an undertaking. I also had a fear of breaking the social norm, being considered weird, or depriving my children of valuable social experiences. All of those reasons, and the fact that I truly don't think it was the Lord's will at the time, I never once thought about home schooling any of my children. The idea seemed just as out there as personally walking on the moon. Then one day, I was having a conversation with a dear friend who home schools, about how she teaches her children using the scriptures. As she was talking, for the first time in my life, I thought, I want to do that! One of the other things she said to me was that she has seen how homeschooling for many has become a "call from the Lord" and that He is inspiring more and more good families around the world to do it. I felt a witness to what she was saying. I felt and could see how Heavenly Father needs a generation of righteous children, raised in the ways of the Lord. I could see, that public schools are wonderful, but not necessarily the right environment for the type of spiritual schooling that some of His children need. Others may thrive and do well there, but not everyone. For the first time, I saw this "one-size-fits all" approach to schooling to be confining, and in some cases more of a threat to personal growth and learning than "depriving them of social experiences." I felt the Spirit move upon me and start to stir my heart and move a huge mountain of false notions and beliefs. Over the course of the next couple of days, not by coincidence, I had several conversations and experiences relating to homeschooling. Knowing that the Holy Ghost was trying to communicate with me, I finally opened up my heart to the idea that maybe Heavenly Father wanted me to home school. My son, husband and I all fasted and prayed to know if it was the Lord's will. We all felt it was right. But I received an undeniable answer, probably because going forward, I would need that assurance the most. After receiving a very clear answer from the Lord, I knew, almost immediately that I would only be homeschooling my soon to be 5th grader and preschooler. My 3rd and 1st graders do well in public school, and need to be there right now. And I could see the wisdom in that. My 5th grader, who is brilliant in his own right, has had trouble in traditional public schools. He doesn't thrive in that environment. He's never liked school. He also never learned phonetics...an issue that none of his teachers seemed to be concerned with---either that or they didn't have the resources to do anything about it. So I am going to have him teach his preschool aged sister phonetics. I know it will be just what he needs. There are other reasons too, that I can see the wisdom in the Lord inspiring this course of action. But, as with most decisions, I know that in a couple of years down the road, it will probably be even clearer as to why I was asked to do such a non-traditional thing. I know it's scary because I am stepping out of my comfort zone, heck, I am stepping out of society's comfort zone. Because, let's face it, home schooling still has a lot of negative stigmas attached to it. Thankfully, I can go forward with peace and faith despite it all. I am grateful that the Lord works through other people to teach us and open our minds to new concepts and to soften our hearts. I am thankful to receive, yet another witness, that I am not entirely crazy and that the Lord would not ask me to do something that I can't do. What peace can come from that truth! With that peace comes a quiet courage that urges me to go on and empowers me to believe that Heavenly Father will not leave me alone in this. He will be with me every step of the way as I invite Him to be a part of the process. This, because I know that He wouldn't have inspired me to take a journey that He wasn't prepared to take with me. I think that is awesome. I am very interested in this. I've thought the very same thing about Oliver. You're so right, the urge to teach our children with the intent to create righteous adults is so strong right now. I am really excited to see how this endeavor goes for you! Thanks Steph! I am actually pretty excited (and nervous)! It is definitely going to be a leap of faith for me. What a blessing that you have had such firm and clear direction to pursue this route. I haven't really considered that I will be home schooling Aaron this year, since he is just 3 and we will be doing joy school at home, but I like that you are considering it that way because it takes more dedication, prayer and planning. I just don't feel like he needs to be in a preschool away from home yet. I look forward to seeing how this journey is for you! Please keep us updated :).